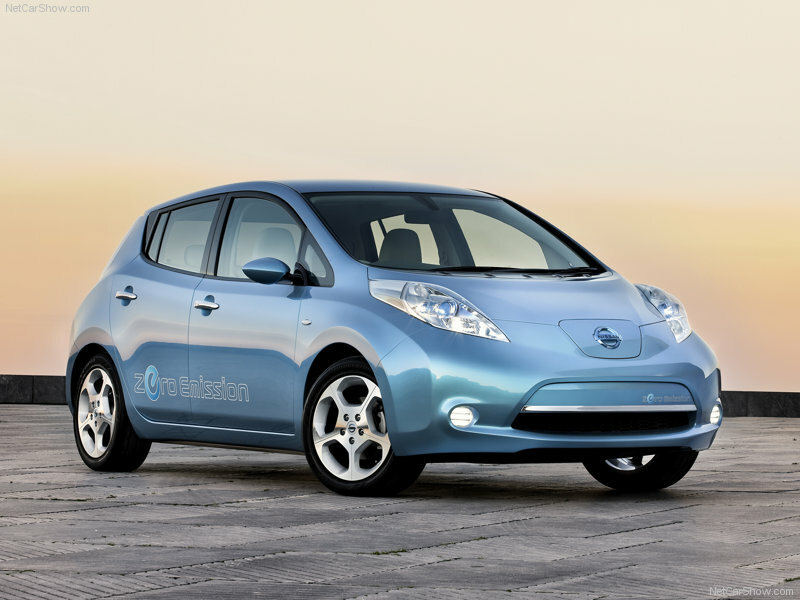 The electric car seemed like such a good idea, but the timing failed us. No cars available. No place to plug in even if there were. Next choice was a hybrid. But even that didn’t fly. Budget, timing, and availability confounded that plan as well. 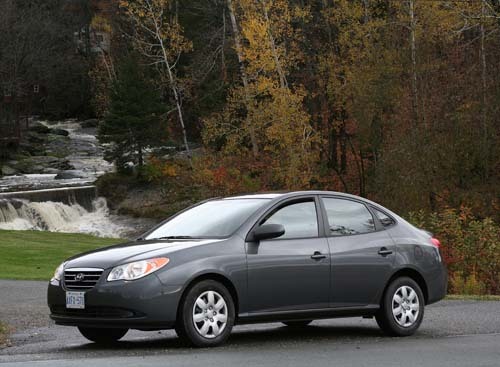 Unfortunately, because we need the car now, we had to go to option C — a well-cared for used car that gets good gas mileage: A 2007 Hyundai Elantra fit the bill. At 28 mpg it’s pretty good for a car that age and size. Better, at least, than the 2001 Jetta it’s replacing. But pretty good doesn’t help the planet, really. I know my one little car doesn’t make a whit of difference in the carbon emission of this planet. But I also know that someone has to lead by example. I’d be happy to be the first person on my street to drive an electric vehicle. I love the idea so much that I had planned to put a sticker on it that says, “Ask me about my car!” This would give me a chance to assure people that an EV is affordable, safe, and easy to keep on the road. 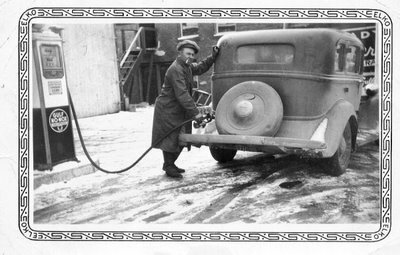 I could explain to them that the idea of driving to a special “station” to fill up with gas is a quaint old-fashioned idea. Now, I’d tell them, you just fill ‘er up at home, while you sleep! Doesn’t that make a whole lot more sense than planning your drive around a gas station stop, waiting your turn, and then standing out in the rain holding a gas nozzle? And I’d equip myself with all the other arguments in defense of an EV so I could talk intelligently with the naysayers and the fearful. Yes, I’d become an EV evangelist. Personal recommendations go a long way. We weren’t even considering a Hyundai. Our short-list included two Hondas and a Jetta. Then we talked to a friend who couldn’t stop praising the Elantra. He convinced us to at least check them out. His enthusiasm was the only reason we added it to our list. 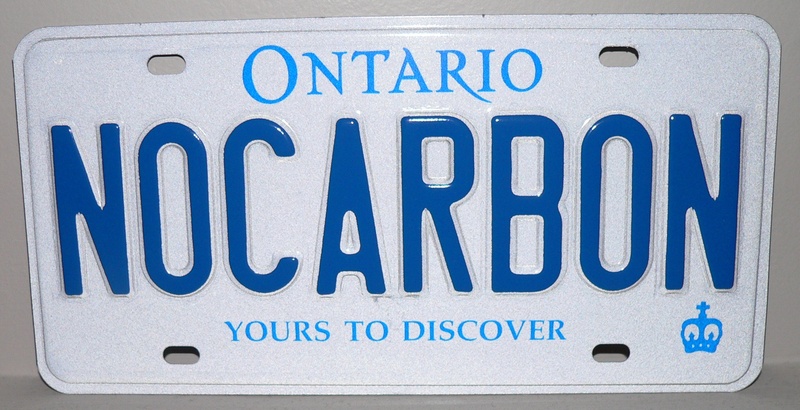 But we’re too early to start a movement so the NO CARBON plate is still car-less. Don’t worry. We haven’t given up. We just have to wait until Canada catches up with us.